The funny folks at Jordan Winery created a new parody video just in time for Super Bowl 50! So grab your corkscrews, football fans, and get ready for the Daily Fantasy Wine Report where Brett Burgundy and Skip Sauvignon introduce their wine picks for Super Bowl 50. 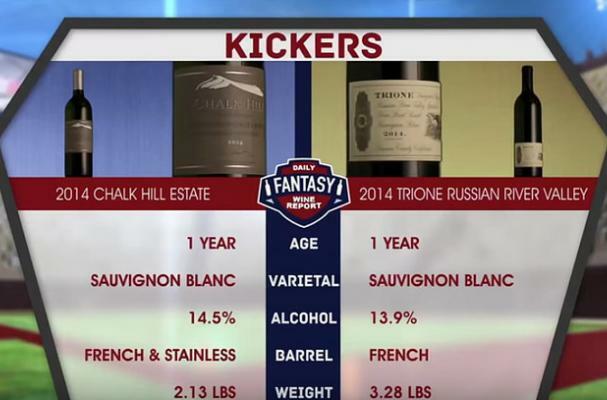 If you're a football lover with a sense of humor and a taste for good wine, check out their funny video below. And don't miss the first-ever Taste of Sonoma Lounge at Super Bowl City. Come taste Jordan wines with the Jordan Winery team on February 2 and 6. The lounge will be located directly across from the Ferry Building on the Embarcadero in San Francisco, and their events calendar has all the details. Get the full participating wineries list on at the Sonoma County Vintners website.